Social Media has changed the way we think, decide and live. And that includes our business. Have you noticed how it influences our buying decisions? That’s because social media is people. People watching people. People following people. People asking people. Chances are high that someone is checking up your business or personal background to share a big business or opportunity. If that sounds like you, it’s time to invest in yourself. Get ready to see a newer, better and bigger version of your personal and business brand. I designed this exclusive coaching program for determined, goal-driven and ambitious professionals who are serious about their brand and life. 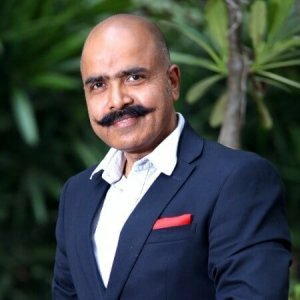 The one who is all ready to start off and work on a powerful social media strategy to get more business, reputation, and visibility. 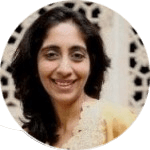 Sunita Biddu has brilliantly helped me understand how Facebook can be used as an effective tool for increasing my online visibility, credibility, and business. I had made a facebook page that few people knew about and it had little interaction in a period of 6 months. I hardly used the page and mostly used my personal Facebook account. 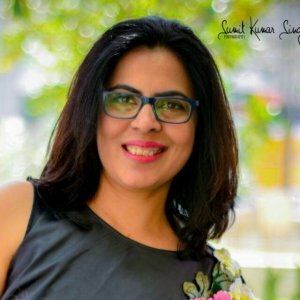 Within 4 weeks with Sunita, many people got to know about my work page “The Good Life Studio” and started interacting on this page for daily health tips as well as viewing testimonials of diabetes/cancer reversal etc. It became an excellent platform of exchange and sharing the benefits of Macrobiotics Health Coaching. As a Macrobiotic Health Coach, I was invited to many groups, forums, and schools for talks – mostly in-person work. She explained the benefits of social media and guided me with patience, clarity and simple result-oriented steps to achieve goals. Her quest to help people achieve their highest and best in any field is simply remarkable. She has a very good vision and understanding of all fields and can help any business grow. Sunita is not only a nice coach, but also a nice human being. While being coached by her, I have been receiving so many other free valuable learning for life. These days, entrepreneurs have heard the name of social media but it needs to be learnt to make the best use of it and I recommend Sunita for the same as she has been doing this for a long time and as I recently said, one can learn many more other valuable things free. I am really pleased with my decision to have hired Sunita as my social media coach for my magazine THEWOOMAG.com. I must say that Sunita’s coaching has made me more independent as I am much better equipped to handle social media for my magazine. She had added a lot to my understanding of how to use social media effectively to market my brand. For example, creating a plan and content, creating great themes, media guide are few among the skills I learned during my coaching.